Last year, GTDT's engagement and consultation with the wider community put us in contact with Lisa and family, who have lived for many years on Upper Warwick Street. 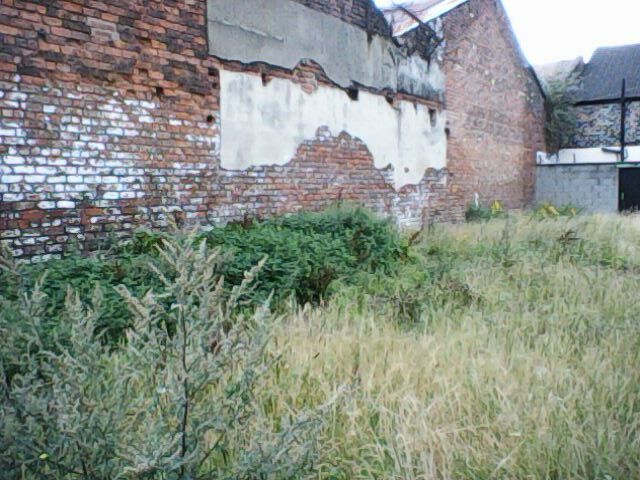 The family had grown increasingly frustrated with living next door to a derelict site, which was overgrown with weeds, infested with rats and strewn with litter. We liaised with Lisa to learn what it was she wanted the site to be, putting her in control of the process. Sadly, the family had recently lost Lisa's husband to cancer, but Lisa wanted to pay tribute to his memory by turning the site from eyesore into a memorial garden. Working with both Lisa and the council, GTDT was able to clear the land of weeds and items that had been fly-tipped onto the site. A sheet was laid to suppress weeds before some attractive wood chips were scattered, and then garden planters were installed. In order to give Lisa and family control of the space, they needed to know what they were doing in terms of garden maintenance. And so, GTDT enrolled all the family (and some enthusiastic neighbours) onto an on-site course with gardening tutor Kev, who over 6 weeks showed them everything they could possibly need to know about keeping their new memorial/community garden in bloom. Through this, the family were empowered to start growing their own food, as well as wildflowers, on a site that just a few months before had been an unattractive no-go zone. They continue to cultivate the beds with their skills, and are regularly welcoming the wider community onto the site for food and a chat on a sunny day. Neighbours they might not otherwise have had the opportunity to speak to are now good friends, having forged a common bond through this beautiful green space on Upper Warwick Street.